Old Town Scottsdale real estate stands alone, with bustling streets, old fashioned stores, restaurants, bars, nightclubs, and western art galleries, evoking the old cowboy era. Scottsdale's main cultural district is also in this area, which includes the high-end Scottsdale Fashion Square Mall, one of the twenty largest malls in the United States. The district has seen a revival in the last decade, with new condominiums and hotels under construction. The New York Times described downtown Scottsdale as "a desert version of Miami's South Beach" and as having "plenty of late night partying and a buzzing hotel scene." 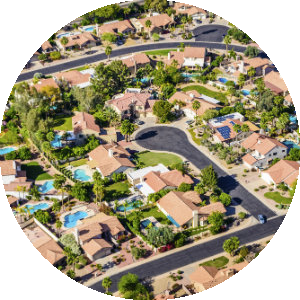 South Scottsdale has for many years been known as the working class region of Scottsdale, although today it is gentrifying. This area contains the major nightlife for the Valley and is a major art center of metro Phoenix. 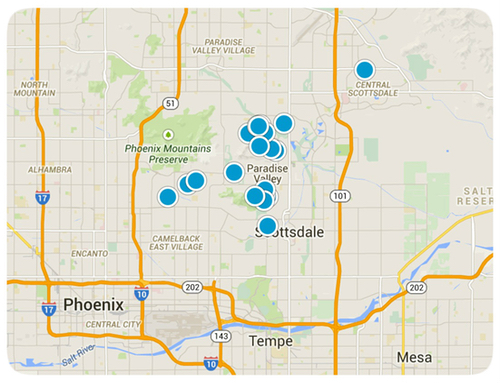 The median resale home price is $291,500, compared to $667,450 in North Scottsdale. A portion of McDowell Road in South Scottsdale used to be known as "Motor Mile," having at one time 31 auto dealerships represented along the street. The strip, at one time, generated over $10 million in sale tax revenue each year and was one of the most profitable auto-miles in the United States. In recent years, many of these dealerships have left the city, and other businesses have sought out the area. South Scottsdale is the home to a new research center for Arizona State University, known as SkySong, a collaboration between the university, local business, and global companies. The development has attracted the research and development arms of a number of international corporations. 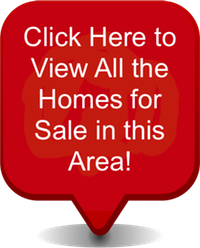 You'll find the very latest homes for sale in Old Town Scottsdale featured below. This information is updated throughout the day so be sure to check back often! 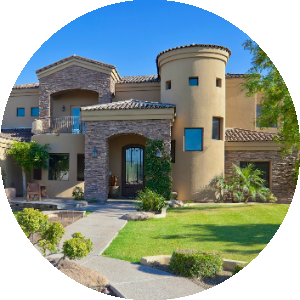 Search the complete inventory of Old Town Scottsdale homes for sale by price, community amenities, square footage and more using our detailed ADVANCED SEARCH option. See something that interests you? Want more information? 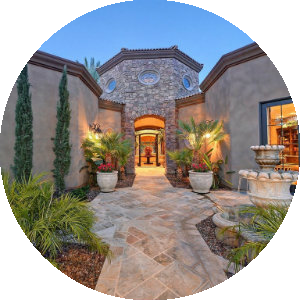 Contact Us anytime to schedule a private showing for any property you find on this site or for more information on the community of Old Town Scottsdale and all Scottsdale real estate.